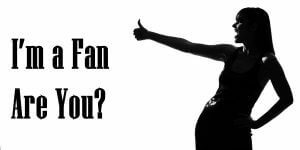 Im a Fan of Tamara's Hair Boutique... Are you? Fill in the below form and you can recommend ‘Tamara’s Hair Boutique’ to a friend or family member via a text message. Show your support with a quick share of ‘Tamara’s Hair Boutique’. The girls in this salon are so friendly and relaxed and their work is awesome always a happy customer when I walk out of there. They do great hair! But also make you feel welcome and relaxed. Great environment. They are also priced very well compared to other local salons. Place is super tidy and professional! Girls are amazingly friendly and do the best haircuts in aus! Innovative, some of the most amazing colour transformations I have ever seen! I am always listened too….. amazing team always learning my favourites! Always fantastic services, always walk away with a smile after all appointments. Tamara is an amazing lady with a passion for hair. Her specialty is shot hair. Soo knowledgable of hair colours and toners! Really amazing work! Super friendly staff too. Since high school, Tamara is the only hairdresser I’ve ever been happy with. I’m a useless customer and never know what I want when I walk in, Tamara is wonderful and always sorts me out in the end. She knows exactly what she’s doing I leave feeling a million bucks every time. I’m defiantly a huge fan of this business because they know their stuff and do an amazing job every time. My hair has never been this healthy and give great hair care advice. 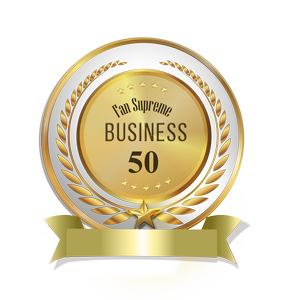 I have been a client from the moment she opened her store and would never go anywhere else. I never walk out of the store disappointed. Not only do I like going to this hairdressing salon because of the amazing environment and company of the employees but the absolutely stunning work they do! Never been let down by these guys! Absolutely amazing work. Always there for clients, above and beyond, Tamara has been my stylist for 3 years. will never change!!! I have been going to Tamara since before she started her own business she fixed my horribly cut and damaged hair 4 years later and it is now thick and healthy! Will not let any other hair dresser touch it! love it ,very friendly staff make you feel welcome and does a wonderful job on my hair . 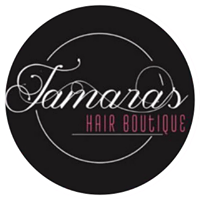 Tamaras Hair Boutique is the epitome of a warm, friendly, professional hair salon. Everyone is welcomed with open arms and leave with amazing hair, personally my hair has never been so well looked after, I have the cut and colour I’ve wanted for years!! So happy to be one of their many appreciated clients, trust me the appreciation is very much reciprocated everytime i look in the mirror at my beautiful hair and the stunning colour!! Thank you Tamaras Hair Boutique!! Tamara is an amazing hair dresser. Everyone loves her and feels comfortable around her. She worked really hard to get her salon and she should be rewarded. She has more loyal customers than I’ve ever seen of a hair dresser. Even me, if I ever move away, I’ll still be coming back for my hair dressers appointment. There is no way I’ll find someone as amazing as her. She has turned her business from just her in a tiny salon into 3 gorgeous woman in a big beautiful contemporary salon in just two years! She works almost every day and even on her days off, she comes in to do her friends hair as a favour, she stays open late for friends and loyal clients She is only 23 and has made a massive impact in Wangaratta. She deserves to be recognised for her hard work. The salon is such a friendly place every visit, always good for a chat while you get your hair done! Tamara is able to understand my jumbled ideas “I don’t want to be grey, but I don’t want to be blonde and have brown regrowth” and turn it into something great, always leave happy with my hair. Tamara and michaela are excellent at what they do and their service is second to none. Friendly staff and fantastic service! The girls do an amazing job every single time, you will leave looking a million bucks! The girls are lovely & listen to what you want done with your hair, plus my hair is always done fabulously. I enjoy going to Tamaras as it is a happy and very friendly place. The girls there are amazing. I’ve been going Tamara for 5 years, before she even had her own salon. I’ve watched her business grow and her grow as a person too over the years. She really takes pride in her work and her customer service, her and her staff are lovely, and really accomadate her clients, she really makes your hair dreams come true. She’s amazing and I’d never go anywhere else! Best hairdresser I’ve ever had. It’s finally growing all thanks to the girls! Amazing customer service, very talented bunch of girls. Always a pleasure visiting Tamara’s Hair Boutique. Tamara and micaela make it such a lovey environment to come into. As a person with a hectic life it’s so good to go in a just relax!! The girls always do an amazing job! They make you feel so welcome in the salon and nothing is ever too much of a challenge for them! 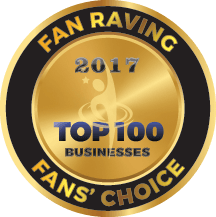 They truly care about their clients treating them like friends and family. I have absolutely loved Tamaras work from the beginning! And when she opened up her own store I was so excited for her!! Tamara and her staff are the perfect example of professionalism! They do everything they can to make you feel comfortable and happy! They make me feel like I am the only customer in the entire world! I love it! I recommend this business to everyone when they are looking for a hairdresser! Great work girls! Absolutely love Tamara’s hair boutique! I always walk out the door happy with my hair. The girls are the best & will always make you feel comfortable. They are really professional & do such a great job! Because the girls are always very friendly and accomodating with all my hair and beauty needs. Tamara thinks about what is best for her clients, she adjusts her prices and adds specials regularly to accommodate for every budget. It is very affordable and doesn’t let a client leave without being satisfied but also sets realistic expectations of the end result. Always a clean and safe environment even for your kids to play while you get your hair done, and every staff member is friendly and knows your name.